If you struggle with immune system deficiencies, hiring a trusted NYC mold removal team can be a life-changing step. Humid air in contact with cold walls and cooler air has the potential to produce harmful mold. What does this spell for you? Trouble. Understanding the tell-tale signs of mold growth or simply recognizing what environments are ideal for mold spore growth can literally be your most vital line of defense. The removal of the spleen and certain medications, especially chemotherapy, can lower your immune system’s defense against health-threatening mold spores. Remember, even if you’ve never had any of the complications listed above, you could still be sensitive to mold exposure. If you need more information, our NYC mold removal experts can help you find out how mold is actually impacting your life. Your body’s immune system is meant to protect you from bacteria, viruses, and mold. When it’s not functioning properly, the white blood cells that fight off potential threats may be rendered ineffective against the onslaught of mold spores. Contact Stern Mold today and we’ll help you keep mold away so you can focus on what’s really important: stabilizing your health! Is Indoor Mold Different Than Outdoor Mold? 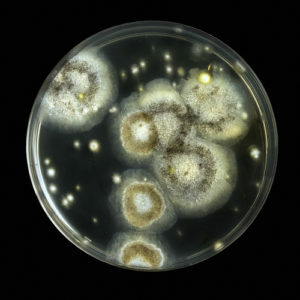 Because ‘mold’ (the non-scientific terminology for fungus) has many different connotations, at Stern Mold, our NYC mold removal professionals get a lot of questions about mold specifics. It’s eaten in blue cheese, used to ferment bread and beers, and responsible for penicillin, athlete’s foot, lining the walls within your shower, and taking up residence in overly moist areas of your home, garage, and yard. What’s the difference between the nearly 300,000 species of mold? Mold/fungus is spread via spores and found everywhere. They can remain dormant for an extended time, but activate when moisture is present. Outdoors, fungus colonies aid in the natural breakdown of organic matter like plants. 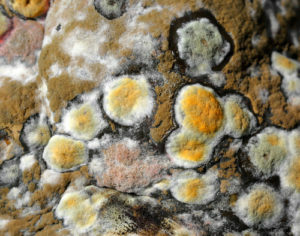 Mold types vary based on medium, season, and weather. These spores can hitchhike into the home via clothing/shoes, where furnishings/appliances/structures provide opportunities for growth. Because, like humans, many things require moisture to survive, mold is often found alongside bacteria and dust mites inside your home. Creating a sickening milieu, these breakdown alongside the materials they use for their growth (drywall, carpet, etc. ), producing volatile organic compounds which emit that ubiquitous mold odor. Indoor mold damages, and eventually destroys, its host substance, impairing structural integrity. Unsightly and smelly, indoors it also poses serious health risks, promoting allergies, lung issues, and infections. 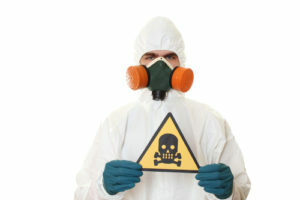 Mold does not belong in your home! 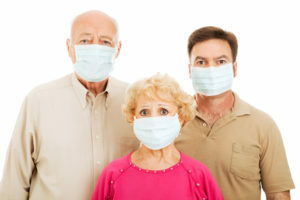 Mold should be eliminated not only to preserve structural integrity, but also your health. While small areas may be tackled by homeowners, larger ones require expertise and protection. Don’t live with mold. 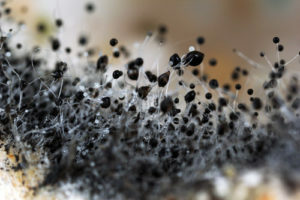 Kick fungus to the curb with the help of the NYC mold removal experts at SternMold today. For those with chronic lung problems and weakened immune systems, Manhattan mold removal companies know Aspergillus mold can be dangerous. More than 26-million Americans have asthma and about 10-million are immunocompromised, with the number of both groups growing annually and leaving many at increased risk. Aspergillus is a common mold found on decaying plant matter. It’s easily carried indoors on clothing/shoes and distributed via the air. It can take root and grow on dust, building materials, stored grains, foods, spices, etc. Aspergillus is also commonly found in poorly draining, dirty window AC unit filters, especially in old/renovated buildings. The aspergillosis fungus causes severe illness in certain segments of the population. Who is Most at Risk of Aspergillosis? Aspergillus typically doesn’t affect those with healthy immune systems. However, individuals with lung problems and weakened immune systems can become infected with or experience an allergic reaction to aspergillus. Aspergillosis sufferers may experience air passage and lung inflammation, wheezing, coughing, shortness of breath, chest pain and fever. Aspergillus can also infect/colonize sinuses, ear canals, and lung tissue, forming a ball of fungus called an aspergilloma/mycetoma. Those with tuberculosis, emphysema, and advanced sarcoidosis are at increased risk of colonization. As aspergillosis progresses, it can travel into the bloodstream and vital organs, resulting in death if left untreated. Concerns about aspergillus among those in your home or business? Schedule a free inspection with the Manhattan mold removal experts at Stern Mold today.